3-month/4,500 mile warranty gives you the confidence to purchase your next used car from Easy Auto. If you have steady income, we can help get you buy here pay here financing for a reliable used car, usually in less than an hour. 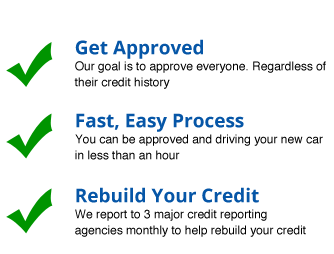 To improve bad credit, we report to all 3 major credit reporting agencies monthly to help you rebuild your credit. We are known as the"Home of the Small Down Payment" amongst our Buy Here Pay Here competitors. We only ask for a small down payment that working people can afford. If you’re not completely satisfied with your purchase, exchange it for another used car of equal value within 48 hours, hassle free!  Every vehicle for sale is Auto Check Certified! You can rest easy knowing your used car has a clean title.